The gorgeous Lissa Haydon always transforms into a diva while she hosts the ramp,she is few among the kind,who rules the ramp by her presence. 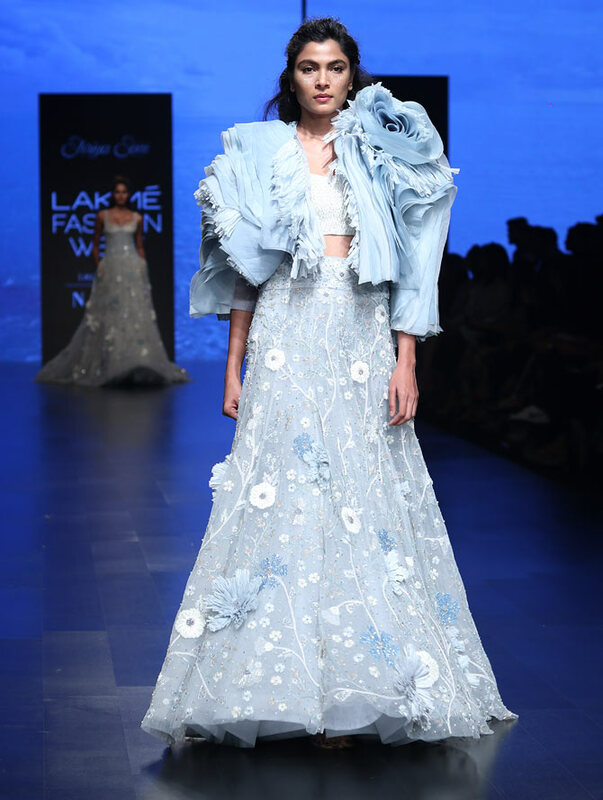 This time also she made her journey fabulously for designer Shriya Som at the Lakme Fashion Week Summer/Resort 2019. Her charming presence itself turn up the heat in the ramp as her flawless looks matters more! On a fairy tale dreamy skirt and sheer blouse, it was hard not to notice her toned midriff and fabulous form. 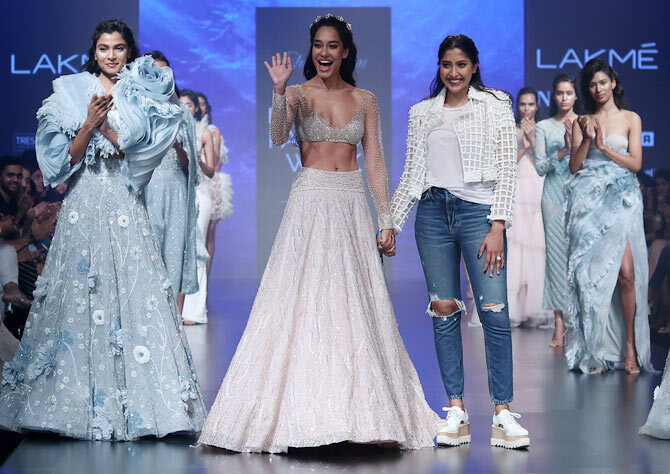 The mermaid collection was in a colour palette of corals and pastel hues. The diva of the ramp looked even more graceful when she is having a bright smile with the designer Shriya Som.